Firstly can I just say a big ‘thank you’ to everyone who gave me creative and constructive feedback yesterday on my Hexie Dilemma. You have given me lots to think about & I’m going to take some time out pondering (oh no! now I sound like Susan!) on what the next step should be. When I was away last week I was able to complete 2 quilt tops. 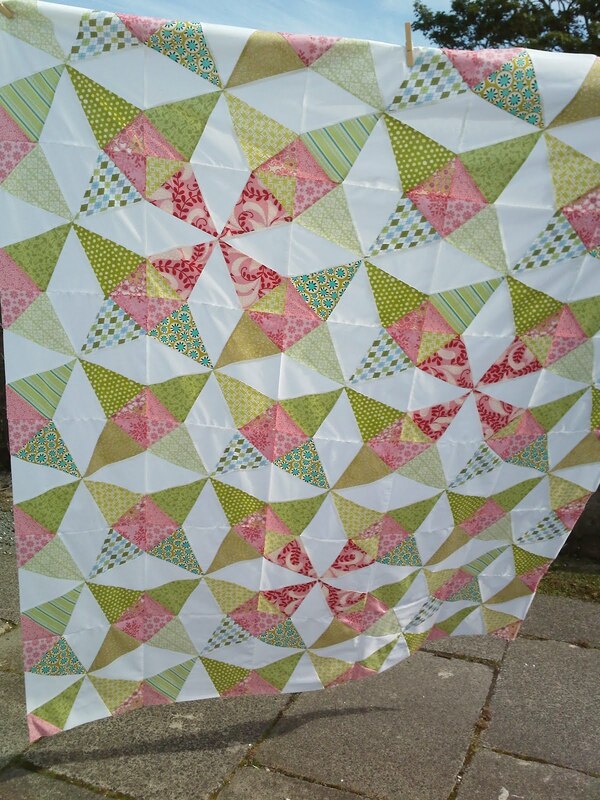 Today I’ll show you one which has been long overdue the Don’t Call Me Betsy QAL deadline! Yes, there are 3 random pink blocks in amongst the green ones! I don’t think there is one point in this whole quilt that matches up (which is why I’m not showing any close-ups!)! I discovered half way through that my downloaded template wasn’t symmetrical, coupled with ‘under pressure’ (aka ‘That’ll do rightly!’) sewing, and accuracy was well and truly compromised. However, life is too short to be worrying about such things when they are about learning a new pattern and what to do differently next time. This quilt will be for my youngest daughter and she’s really pleased with it so far. (Quilt currently measures 62″ x 72″). I’m slowly but surely updating all the rubbishy early works that my kids received from me, when I was a fledgling quilter! One day I might even let you see them (but only when I’m feeling especially brave & secure in myself!!). 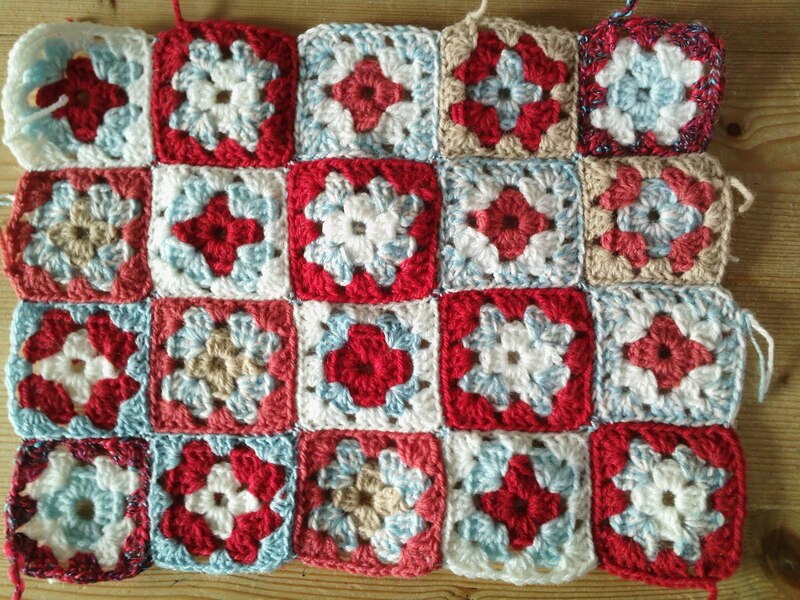 To finish, a little bit of crochet. I haven’t a ‘baldy notion’ what this is going to be (bit like the hexies!). It’s only 13″ x 10″ so it has the potential to become a cushion front (one day!). Previous Previous post: A Hexie Dilemma!